Come, bring a neighbor and your choice of beverage and have a good time! Oh boy, I just caught this. I wish I would have seen it earlier. 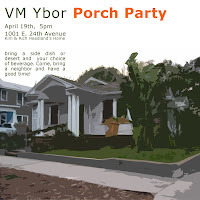 Any news on the next neighborhood meeting or the next porch party?